I LOVE these inRL ("in real life" from (in)Courage) postcards. They feature inspiring quotations from the inRL community on inspiring community and living life with God's perspective. So many good ones to share (and put up on my bulletin board!). 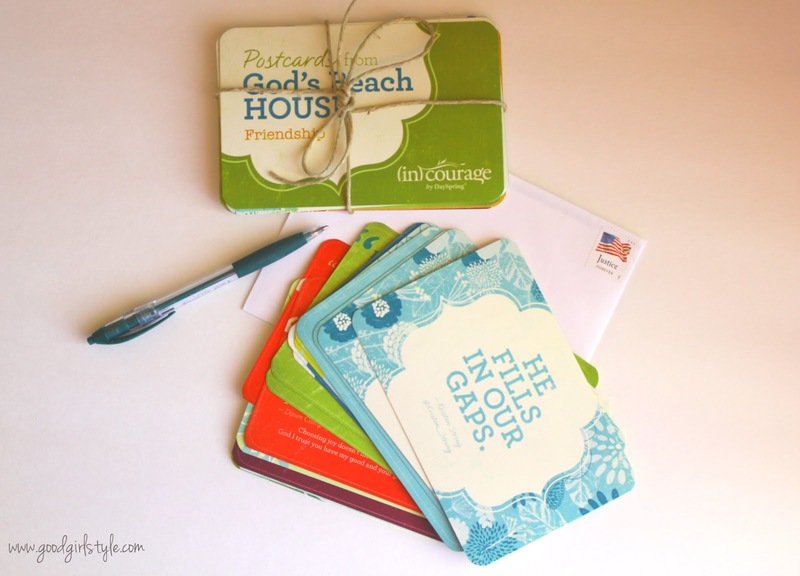 Check them out here: (in)courage Postcards from God's Beach House - Encouragement - Set of 20 and (in)courage Postcards from God's Beach House - Friendship - Set of 20. I love postcards because they are quick to write out they cost less to send. I also sent out a beautiful card for a co-worker whose husband is in poor health, and a few more moving announcements. 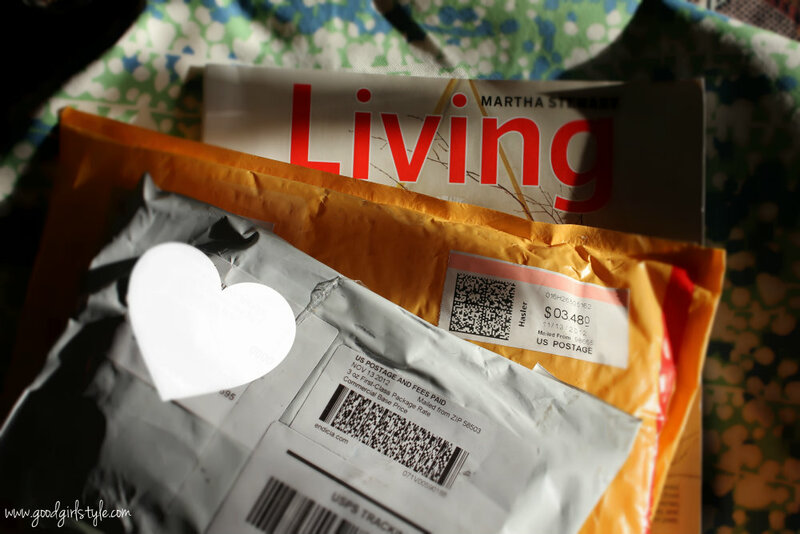 Sending mail is one of my favorite little ways to encourage friends. Even though I don't live near them right now, I have SUCH good friends, and I am blessed that they like to send me mail, too! 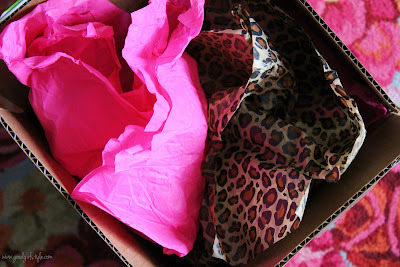 My best friend sent me this package with hot pink and leopard tissue paper. Better yet? The package was filled with ballet leotards and legwarmers so I can get back into ballet once I finally settle into my new routine. She knows me so well and it inspires me daily. being on the receiving end of packages makes me all the more anxious to send them out, because I know how exciting it is to receive real mail, filled with love and goodies. So many good things amidst the bills and junk mail. Next up? Sending out Christmas cards and Christmas presents.